Courtesy of Oklahoma quarterback Kyler Murray, we've got a new Heisman-Trophy favorite on our hands for the first time since Week 2. It may have taken more than 13 weeks to catch up, but Alabama star quarterback and season-long favorite Tua Tagovailoa has officially been surpassed by Murray in the latest Heisman odds via FanDuel Sportsbook. Perhaps the craziest part about this late-season shakeup is the fact that less than a week ago, Murray was looking at a +750 shot compared to Tua's commanding -750 odds to win the Heisman. But just yesterday, we saw a massive shift in the odds that delivered Murray into a dead-even tie at -115. Even though the 2018 Heisman winner will be decided this Saturday night (Dec. 8), the real fireworks may come later this month. Regardless of the outcome, both Tagovailoa and Murray will have a shot to prove their against one another's team in the College Football Playoff come Dec. 29. 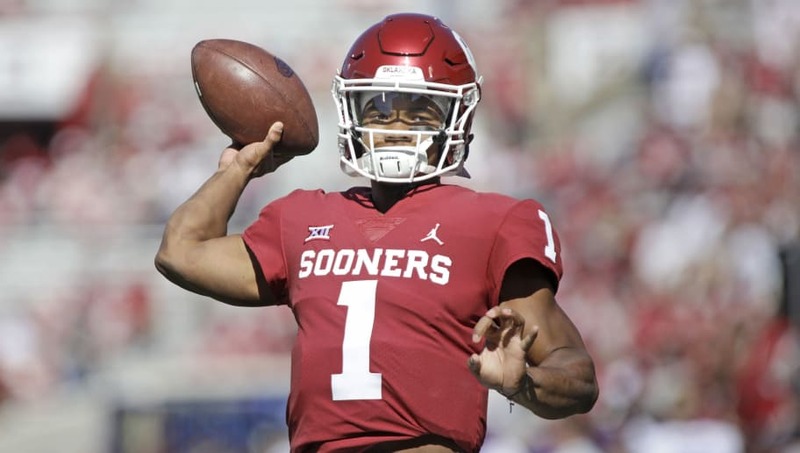 Murray has the latest edge in the Heisman race, but Tagovailoa's Crimson Tide have a clear edge over the Sooners as minus-14-point favorites against Oklahoma in the opening spread via FanDuel Sportsbook.